Germination is the process by which seeds and sprouts grow with the help of light, air and water. 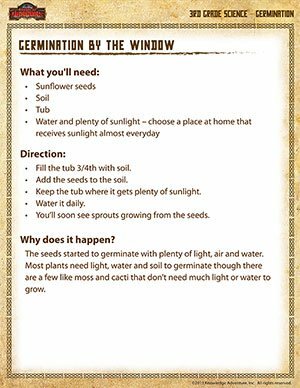 Encourage science beginners, 4th grade students, to learn about germination with a fun and experimental approach. This science experiment is simple and easy and requires very little precision which makes it perfect for the beginners to conduct it on their own. Check out science worksheets for all grades.